THIS FANTASY CAMP IS FOR YOU! Rock and Roll Fantasy Camp is proud and excited to announce our November 2015 camp featuring two world-renowned artists that shaped and influenced the world of rock and roll as we know it: GINGER BAKER of CREAM and DAVID CROSBY of CROSBY STILLS AND NASH! “I'm looking forward to seeing you all in November folks! Don't forget; it's not how you play, but what you say!” says Ginger. How close have you come to your Rock and Roll Fantasy? Maybe you stood in line to get a record album signed or maybe you were close enough to the stage to reach out and just touch an artist’s fingers as he or she ran by. But your REAL Rock and Roll Fantasy is jamming onstage, learning songwriting tips, etc with true legends in the world of rock music, isn’t it? Or sitting in the same room with a rock pioneer and asking the questions you’ve always wanted answered. Actually spending time with genuine rock stars that have inspired countless musicians for decades. Our Rock and Roll Fantasy Camp in Los Angeles November 5-8, 2015, offers a once in a lifetime opportunity to jam and learn from with these two legendary artists. This is face-to-face and standing on stage with music pioneers that have been part of some of rocks’ most incredible lineups and iconic concert events in history. “Rock and Roll Fantasy Camp offers a non-competitive environment that is open to all levels of musician and music enthusiasts” says producer David Fishof. 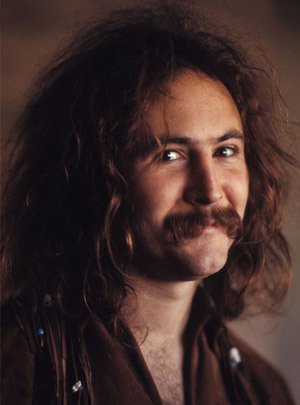 Legendary singer-songwriter and social justice activist David Crosby is a two-time Rock and Roll Hall of Famer, inducted as a member of both the widely innovative folk-rock band The Byrds — with whom he first rose to stardom — and the Woodstock era-defining group Crosby, Stills & Nash. Crosby played at some of rock’s most culturally significant concerts, including the Monterey Pop Festival, Woodstock and the Altamont Free Concert. He is also one of rock’s most prolific collaborators, recording and playing with Bob Dylan, members of the Grateful Dead, Neil Young, Jackson Browne and others. An immense talent and a true rock and roll survivor, Crosby has lived through more music history than most people even know. 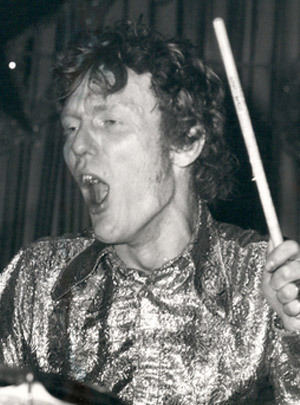 Cream, Blind Faith, Airforce, Masters of Reality are just some of the influential bands put together by superstar percussionist, Ginger Baker. During his musical beginnings on the London Jazz scene of the late 1950s, Peter ‘Ginger’ Baker forged a name for himself for his unconventional drum setup and flamboyant style. In 1966, after seeing Eric Clapton play in London, he formed the power trio Cream with Clapton and bassist Jack Bruce. The rest is rock and roll history! The recent documentary “Beware of Mr. Baker” paints a colorful picture of Ginger Baker, but this 1993 Rock and Roll Hall of Fame inductee known as “Rock’s first superstar drummer” is definitely excited to be part of November’s camp. This amazing opportunity to spend time with two of rock’s most prolific and successful artists puts you amongst the best there has ever been! Whether you’re a seasoned musician, a beginner, or have long held on to the dream of being in a rock band, Rock and Roll Fantasy Camp will bring your rock and roll dreams to reality…no experience necessary…. For our campers, this is a life changing experience. Some of the campers play well and even gave up careers as musicians to become CEOs and lawyers. Some campers can’t play at all. What they all have in common is passion for rock music. At Rock ‘n’ Roll Fantasy Camp they all get to pursue their passion – and meet, and play with the artists who became the soundtrack of their lives. It has been a fantastic experience for all of us who have been able to witness it for the past nineteen years. David Fishof is the founder and creator of the famed Rock and Roll Fantasy Camp where rock dreams become reality. The idea came to him after years of producing rock tours throughout the word. He's been honored to work with veteran rockers, Roger Daltrey, Ringo Starr, Levon Helm, Joe Walsh, Roger Hodgson, Todd Rundgren, Jack Bruce, Dr. John, Joe Perry, and so many more. He feels fortunate to have seen their talent first hand. David's desire to share this experience with you, gave him the inspiration to produce the one-of- a-kind, Rock and Roll Fantasy Camp. Past rock star camp headliners have included Jeff Beck, Brian Wilson (Beach Boys), Roger Daltrey (The Who), Def Leppard, Alice Cooper, Sammy Hagar, Gene Simmons (KISS), Warren Haynes (Allman Brothers, Gov’t Mule), Dave Davies (The Kinks), Bill Wyman (The Rolling Stones), Slash, Bret Michaels (Poison), Cheap Trick, Dr. John, George Thorogood, Jack Bruce (Cream), Joe Satriani, Joe Walsh, Meatloaf, Vince Neil (Motley Crue), Duff McKagan , (Guns N’ Roses, Velvet Revolver), Michael Anthony (Van Halen), among others. Go to www.rockcamp.com or call 888-762-BAND to sign up or for more information.